Maybe you’ve heard that dairy products can be bad for us. There are so many people struggling with lactose intolerance, bloating, acne and other unwanted side effects from consuming milk products. Well, maybe we can make at least one exception to the rule and this is goat milk. Goat milk is very different from cow milk. Not only it is not harmful, actually, it is quite beneficial for the human body. The goat milk benefits are many – it helps to normalize the gastrointestinal tract’s function, increases hemoglobin level and improves vision. It contains bioactive substances which cannot be found in cow milk. These substances keep the milk edible for about a week compared to 3-4 days for the cow milk. Of course, these nutrients lose their properties with each hour, which means that the nutritious benefits are most potent when the milk is freshly obtained. Goat milk also contains high quantities of Potassium thus helping the cardiovascular system. Unlike cow milk, it contains six times more Cobalt, which is part of Vitamin B12, regulating the metabolic processes in our bodies. A well-known fact is that goat milk is the closest to human breast milk for its high quantities of beta-casein. It helps children with rickets recover much faster than ones drinking cow milk. It is also beneficial for treating diarrhea and it is even safely given to people with lactose intolerance, for it contains least lactose quantities compared to any other milk. This is also because the fat molecules of goat milk are far smaller and much easier to absorb. With about 4% fat, the milk is absorbed almost at 100%. Comparing cow and goat milk, the latter has higher quality with its more homogenous structure and higher amounts of non-protein nitrogen and thiamine (Vitamin B1). B1 is one of the most essential vitamins in the human body, vital for our survival at each stage of our development. Many experts state that goat milk is more suitable for us compared to cow milk. Furthermore, it helps people recover from gallstones, fibromas and even child epilepsy. More amazing goat milk benefits! Goat milk is full of easily digested fats, Calcium, Phosphorus, Vitamins B, B 2, F, K, C and A, strengthening the nervous system. It helps our bodies’ bone formation, preventing cavity formation, fights colds and respiratory infections (even tuberculosis), arthritis, diabetes; it boosts the function of the liver, lungs, and stomach. Strengthening our immune system, this milk is a powerful assistant against all kinds of diseases. It is even considered a natural antibiotic, preventing many conditions even cancer. As you know, health and beauty go hand in hand – goat milk contains natural silicon which takes part in hair and nail growth and ensures the normal function of the skin. Speaking of boosting the immune system, make sure you grab my FREE book bundle packed with awesome immune-boosting recipes (and a ton of more yummy meals and cleansing rituals!). Last but not least, this nutritious milk is not allergenic and is officially approved for babies and children. As I previously mentioned – even people with lactose intolerance are safe consuming all products from this milk. If you want to reap all those amazing goat milk benefits, make sure that the product is as clean as possible. This means that it is best if you can find a local farm with grass-fed goats, not treated with antibiotics and hormones. Enjoy the countless benefits of this powerful, simple… and inexpensive (but priceless) natural food! Psst! You can make your own colon healing and immune-boosting Bulgarian goat milk yogurt with the amazing yogurt starters by Bacillus Bulgaricus! You can even make a completely vegan (and lactose-free) Bulgarian yogurt! 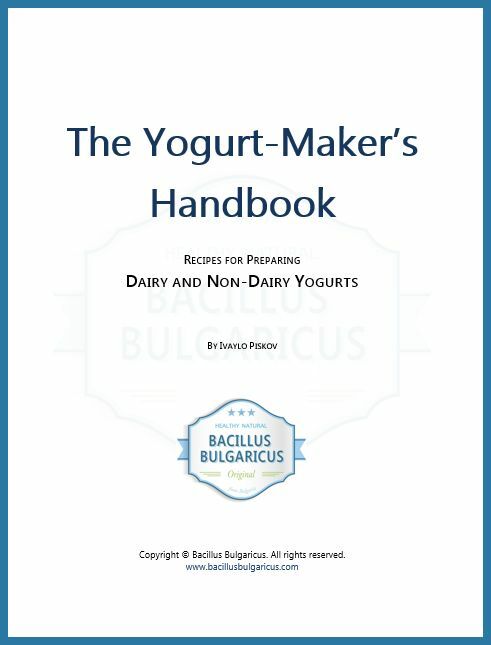 You can find the detailed instructions in “The Yogurt-Maker’s Handbook”. You will learn how to make traditional Bulgarian yogurt with all sorts of dairy and non-dairy products, such as Greek yogurt, Icelandic yogurt, soy yogurt, coconut yogurt, yogurt from cashew, rice, sunflower seeds, and more! 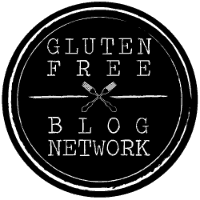 Stay tuned for more health and wellness tips, tricks, and recipes! This entry was posted in Wellbeing of the Body and tagged cow milk, goat milk, lactose intolerance. Bookmark the permalink. ← What is EFT and Can It Change Your Life? The Short Basic Recipe.